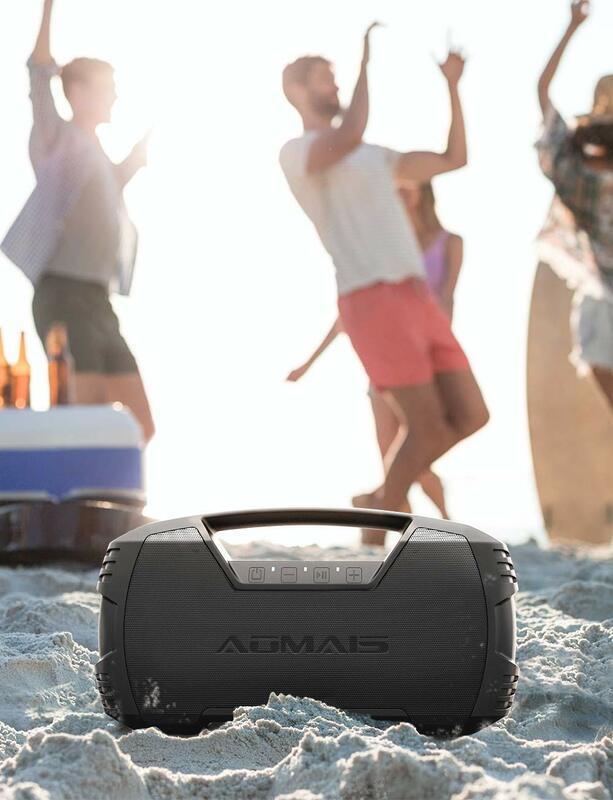 Booming Bass and Full Volume: Get 30W sound with AOMAIS Go’s two 15 watt full-range drivers and two passive radiators. TWS function lets you pair two speakers for a powerful 60W stereo surround sound.Super bass booms with less than 1% total harmonic distortion. 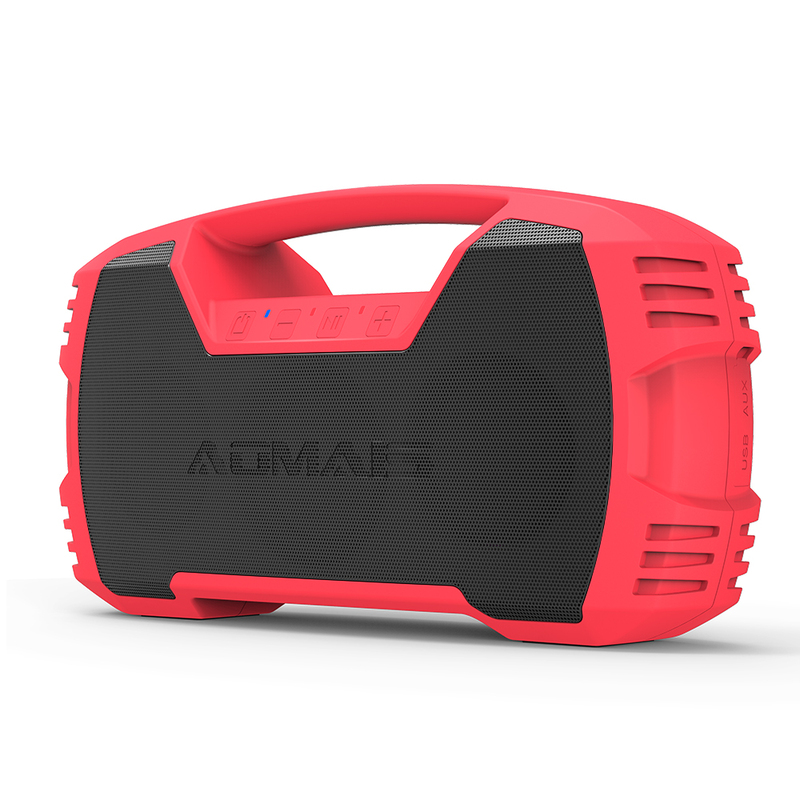 IPX7 Waterproof: top level waterproof able to withstand full immersion of up to 33 feet for 30 minutes. 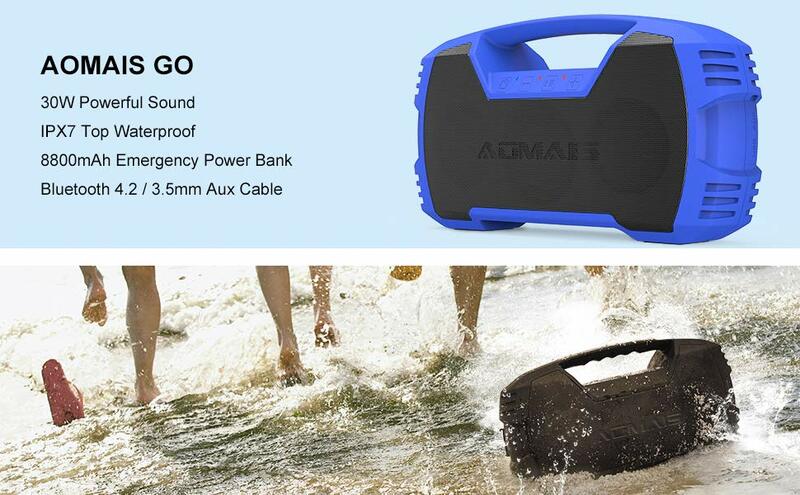 it\'s dustproof, snowproof, mudproof, waterproof or even being dropped. 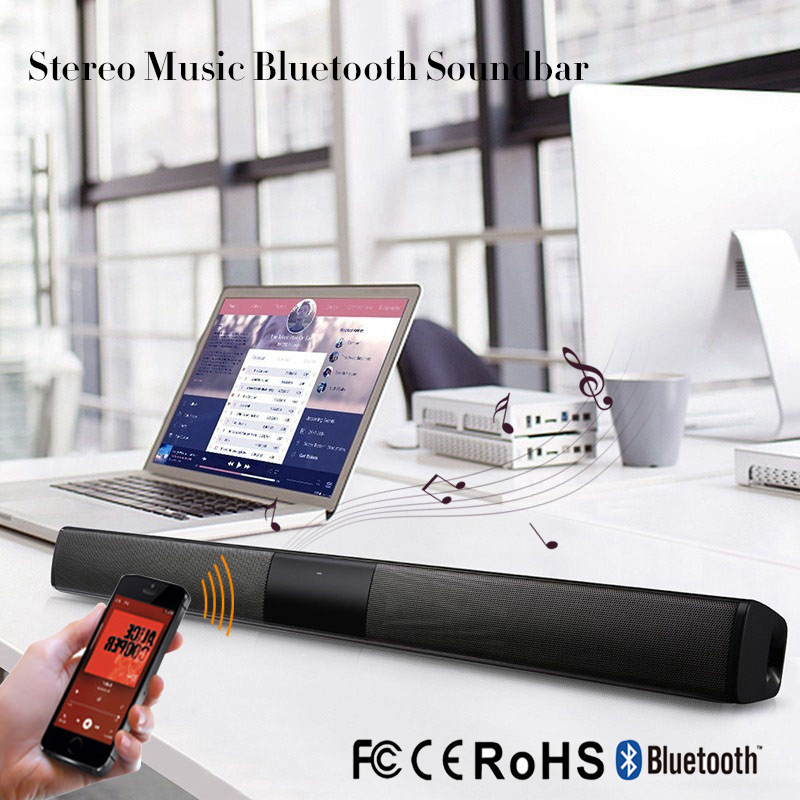 Support hands-free calling, Tablets, cellphones sync in a snap with Bluetooth 4.2. 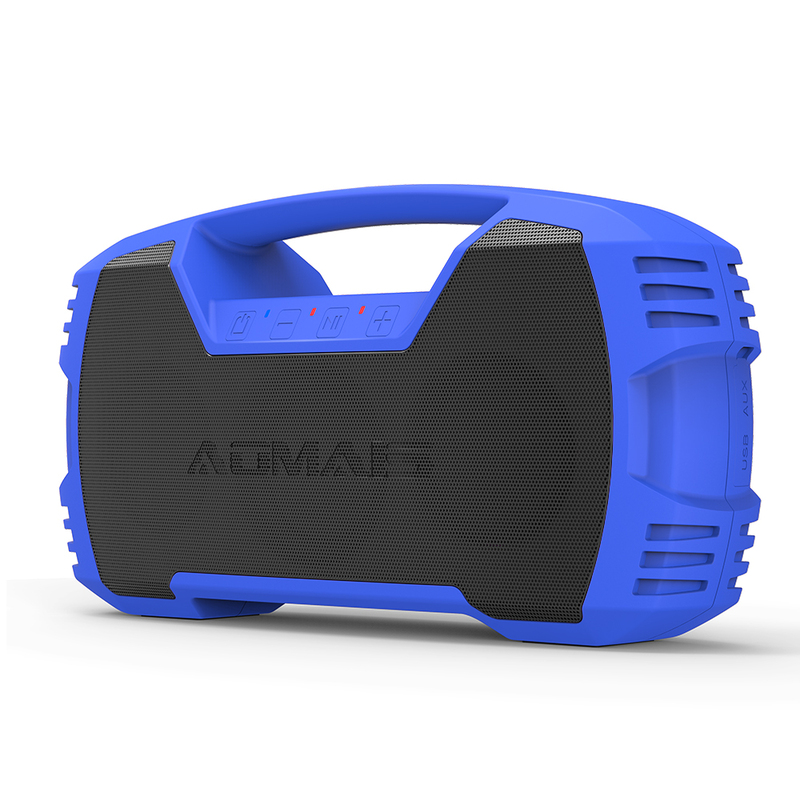 Works great with mobile phones, Wired connection with PC, TV and other non-Bluetooth devices with 3.5mm audio jack. 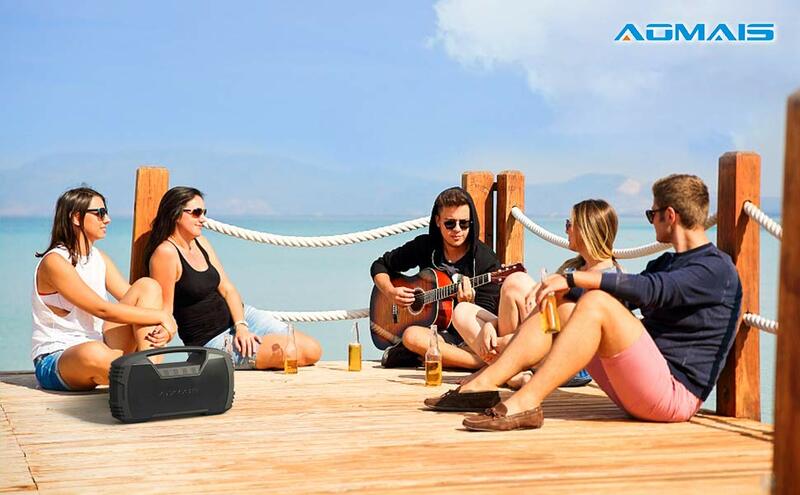 Clear, rich sound that fills the room indoors and performs outdoors. 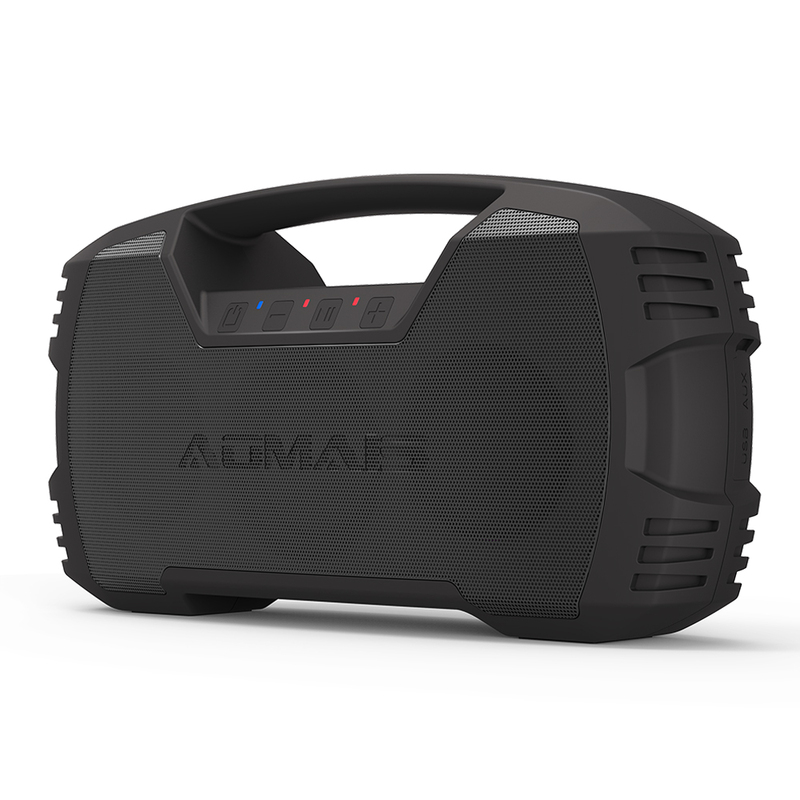 Easily connect any device with a playlist to have continuous sound for any occasion.